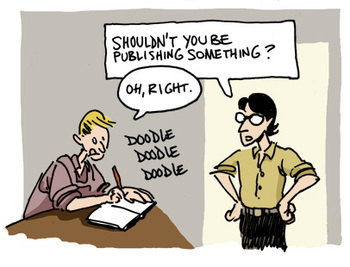 First Second Books - Doodles and Dailies: Doodlers in editorial positions: good news or bad? Doodlers in editorial positions: good news or bad? 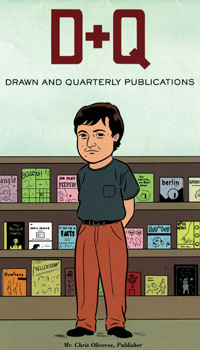 Should cartooning types be allowed to run their own graphic novel imprints? Fortunately, I'm not alone: for a number of years, there's been Chris Oliveros running his stellar DRAWN & QUARTERLY, and now overseas, there are two new graphic novel imprints, one called SHAMPOOING, within Delcourt Publishing, and one called BAYOU, within the prestigious Gallimard house... And their editorial directors? Respectively: Lewis Trondheim, and Joann Sfar. D&Q continually offers must-read authors and literary graphic novels, and these two new ventures are off to exciting starts. And it sounds like BAYOU is very close to FIRST SECOND in its editorial vision. Hey, I'm in illustrious company!